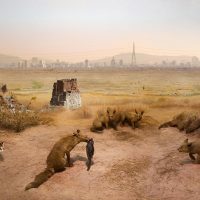 Scientists have used the term ‘Anthropocene’ to describe an ecological turning point where the impact of human behaviour has significantly and permanently affected our Earth, contributing to drastic changes on climate. 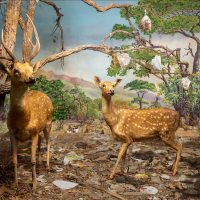 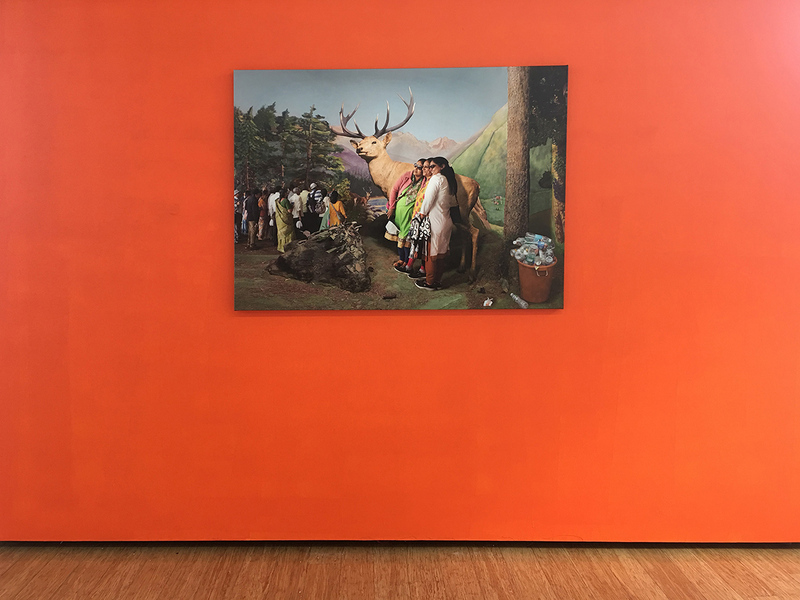 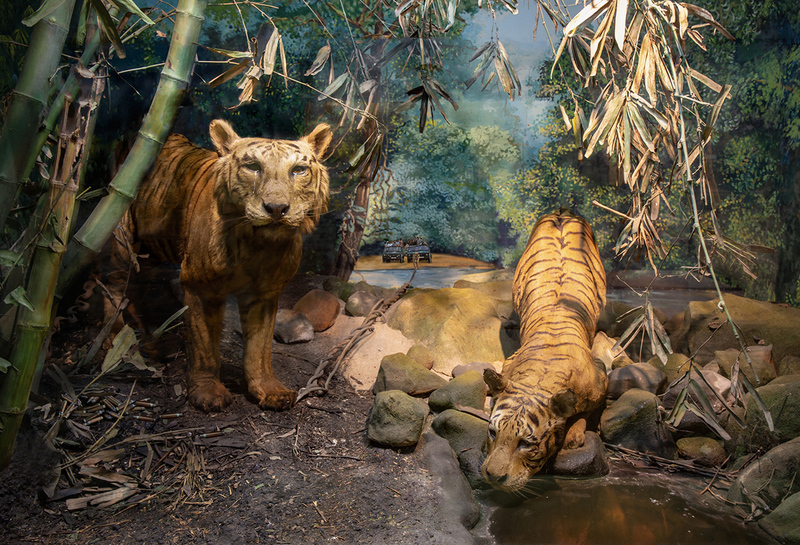 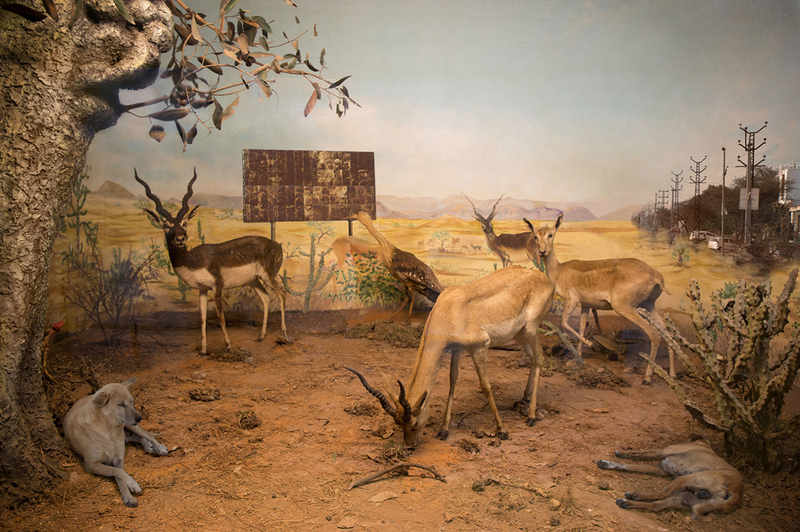 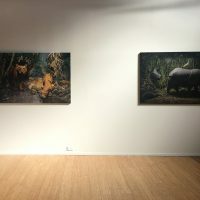 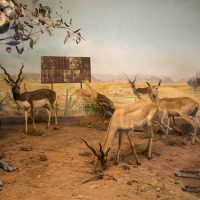 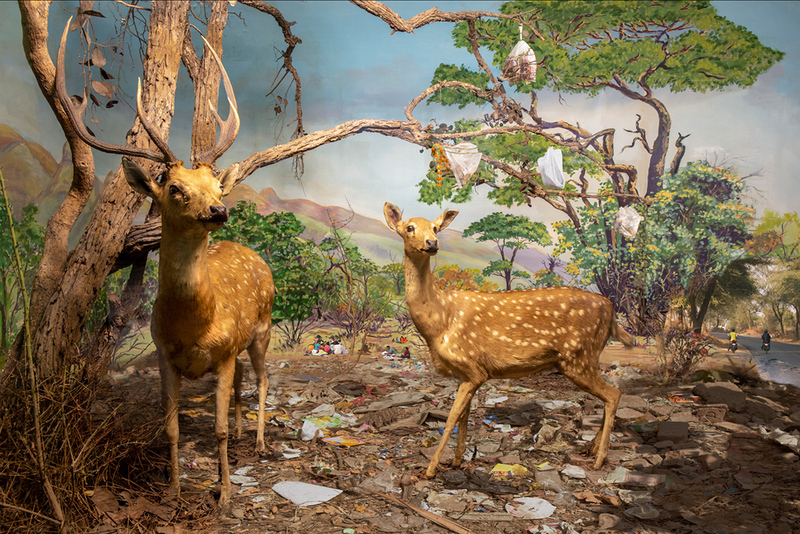 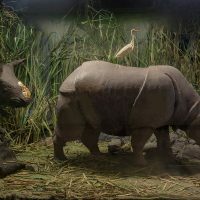 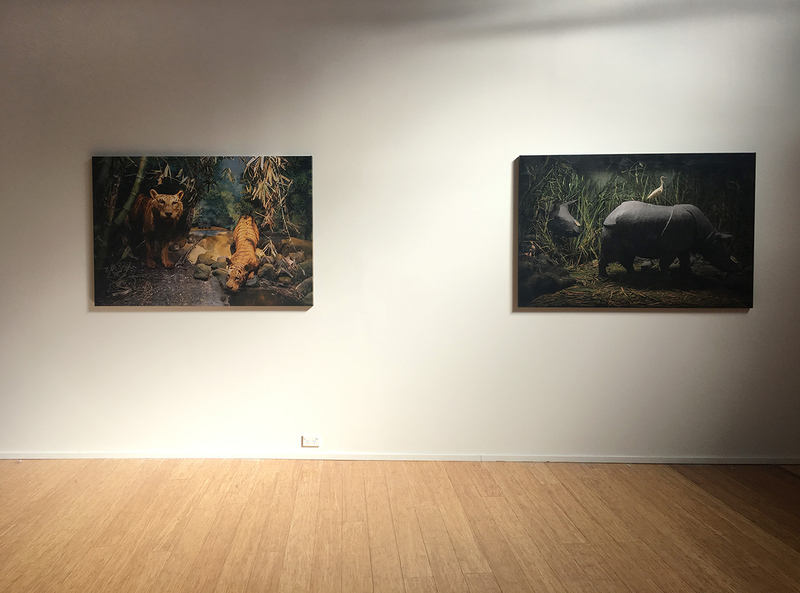 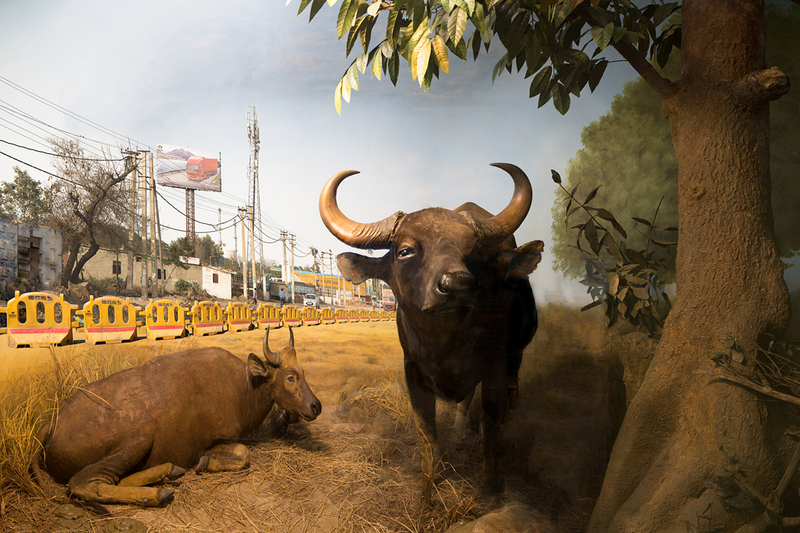 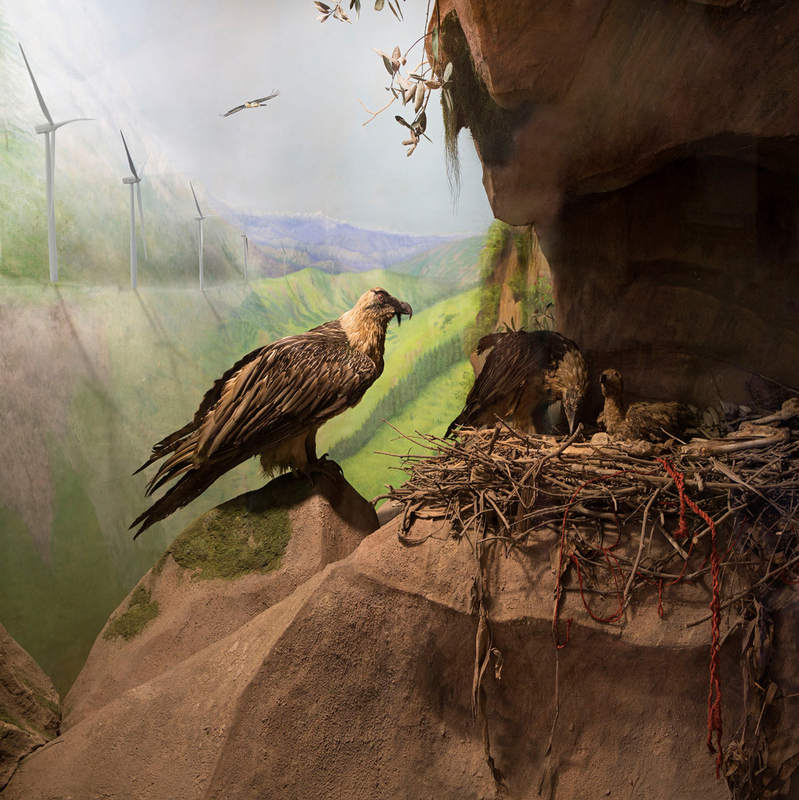 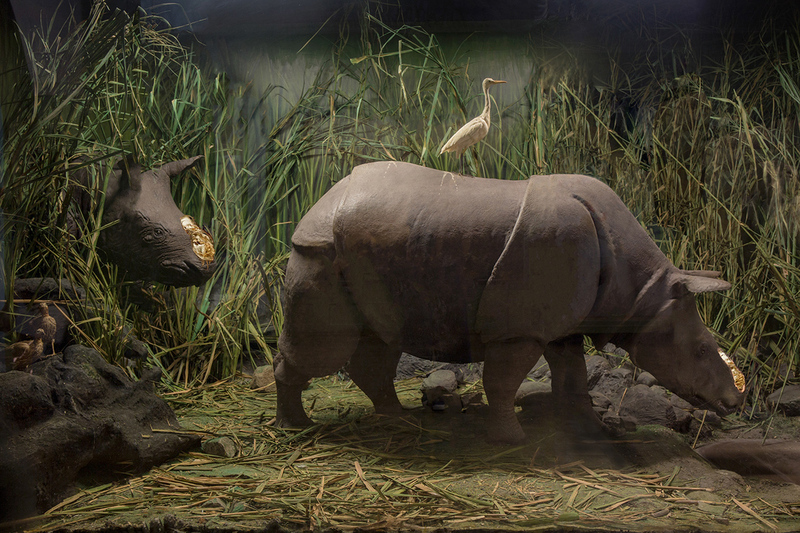 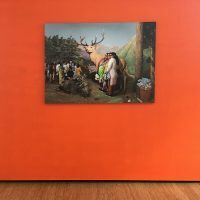 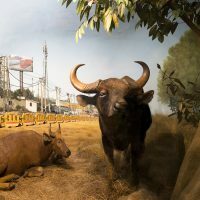 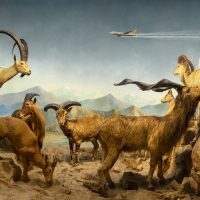 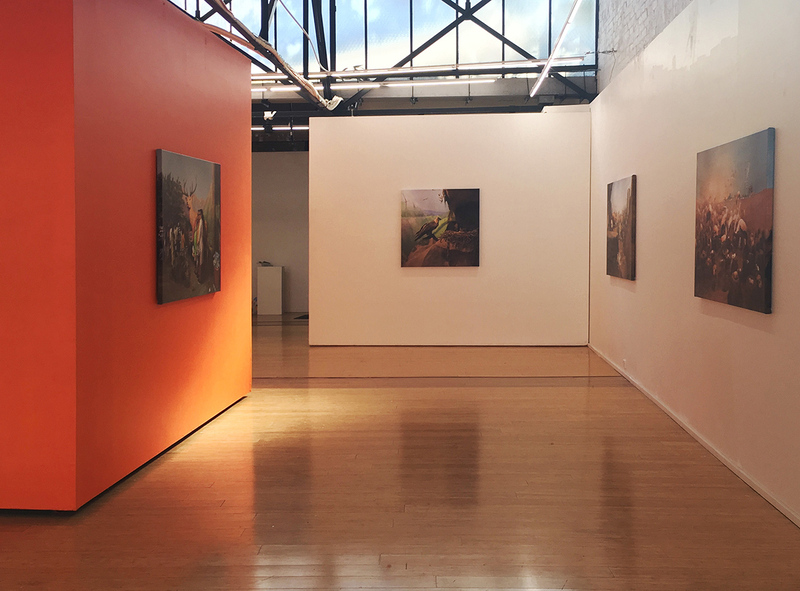 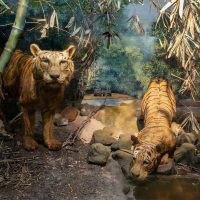 In response, Zahalka turns a compelling and critical lens onto taxidermied animals in lush, constructed environments based on science, questioning not only our impact on the natural world, but also the way in which these museums construct knowledge. 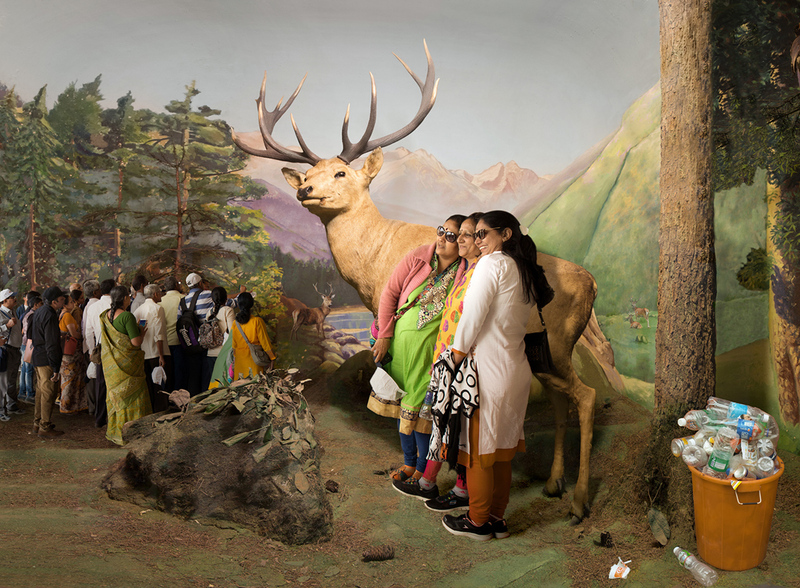 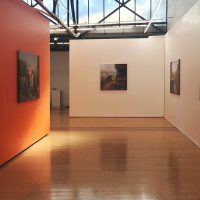 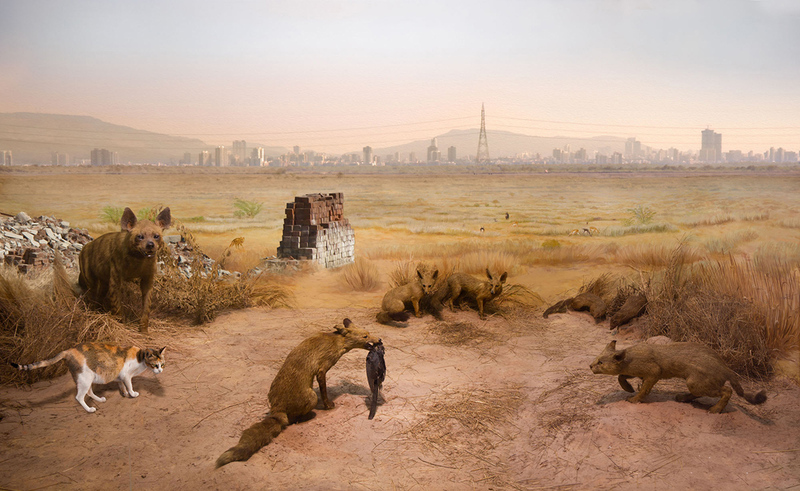 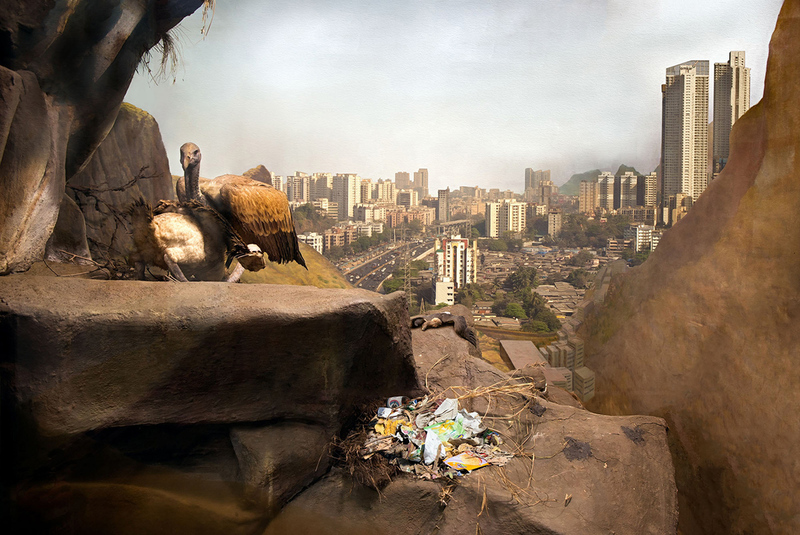 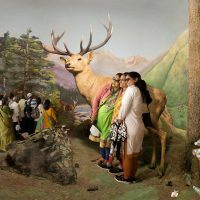 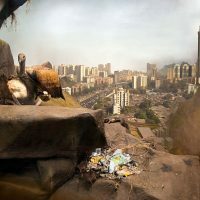 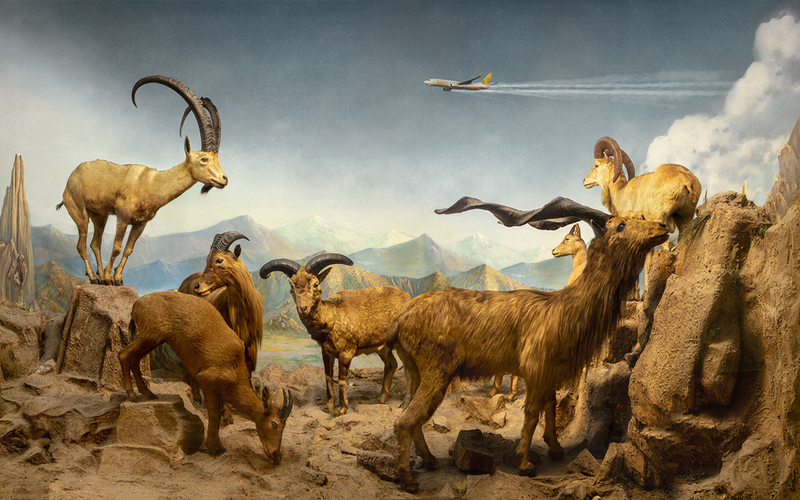 Traveling to natural history museums to record dioramas, first in New York and more recently in Mumbai the artist has made interventions introducing planes slashing across a painted sky, rubbish piling up beside an animal encounter, and cityscapes infiltrating the horizon in order to mark out unsettling ethical issues and the dramatic changes that have taken in these habitats today.